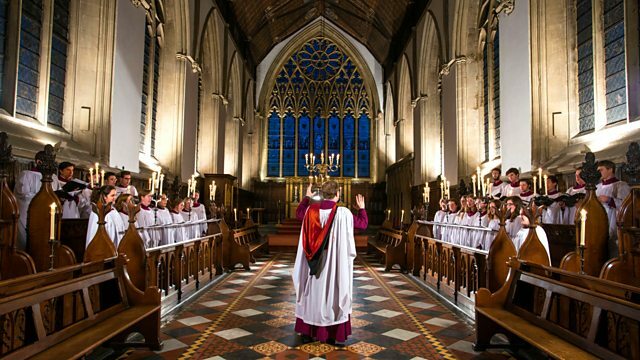 Choir: Merton College Choir. Conductor: Benjamin Nicholas. Composer: Johnathan Battishill. Composer: Lord Mornington. Performer: Alexander Little. Performer: Tom Fetherstonhaugh. Choir: Merton College Choir. Conductor: Benjamin Nicholas. Performer: Alexander Little. Performer: Tom Fetherstonhaugh. Choir: Merton College Choir. Conductor: Benjamin Nicholas. Performer: Alexander Little. Performer: Tom Fetherstonhaugh. Conductor: Benjamin Nicholas.